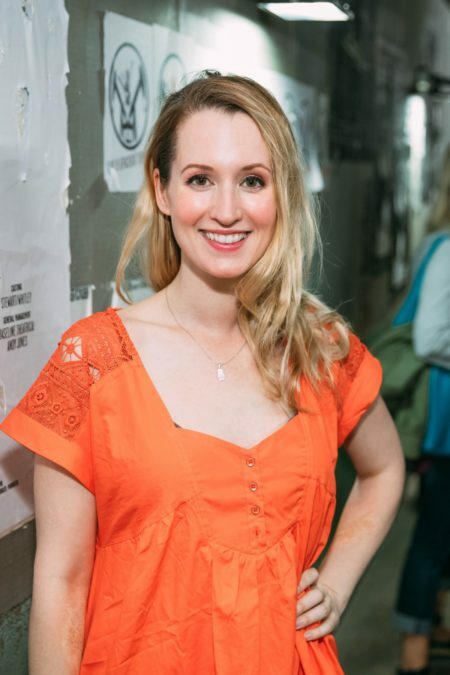 Ingrid Michaelson, the acclaimed singer-songwriter who made her Broadway-acting debut in Natasha, Pierre and the Great Comet of 1812, has announced that she is lending her composing talents to a musical adaptation of Nicholas Sparks' novel The Notebook, which was made into a hit 2004 film. Kevin McCollum (Something Rotten!) and Kurt Deutsch (Sh-K-Boom Records) are behind the musical as producers, in association with Sparks, with Bekah Brunstetter (The Cake) as book writer. "When I was approached about working on The Notebook, I had to excuse myself and go to the bathroom and cry and come back into the meeting," said Michaelson in a statement. "I have loved the movie and the story for so many years now that the idea of turning it into a musical overwhelmed me. The concept of unending devotion and love wrapped up in memory and family is something very close to my own personal life. The story sings to me so perfectly. I actually started writing that very night of the first meeting, before I even had the job! I cannot wait for the world to hear these characters come to life in a musical way." Michaelson is known for her folk-pop albums including Slow the Rain, Girls and Boys, Everybody, Lights Out and It Doesn't Have to Make Sense. Her singles "The Way I Am" and "Girls Chase Boys" topped the Billboard Hot 100 list upon their release. Michaelson appeared on the hit Hamilton Mixtape album in advance of her 2017 Broadway debut in The Great Comet. The Notebook is set in 1940s South Carolina, where a mill worker named Noah Calhoun and a rich girl named Allie are desperately in love, despite their parents' disapproval. When Noah leaves to serve in World War II, Allie meets another man; when Noah returns years later as Allie is about to get married, their romance reignites. The film adaptation of The Notebook starred Ryan Gosling, Rachel McAdams, James Marsden and Gena Rowlands. Casting, venue and dates for a premiere production of the musical are forthcoming.